Cool Down With An Ice-Cream Party! We love any old excuse to have a good party, so, as it has been SO hot we decided to cool down with a little ice-cream party! We have so many fabulous ice-cream inspired products it was really easy to raid the Pinks & Green stock room and set about decorating the kitchen and garden. We cranked up the music (on our fabulous Sunnylife Stero of course!) Filled up the paddling pool, invited some friends round and had a fabulous ice-cream party. Beach Sounds Stereo By Sunnylife. 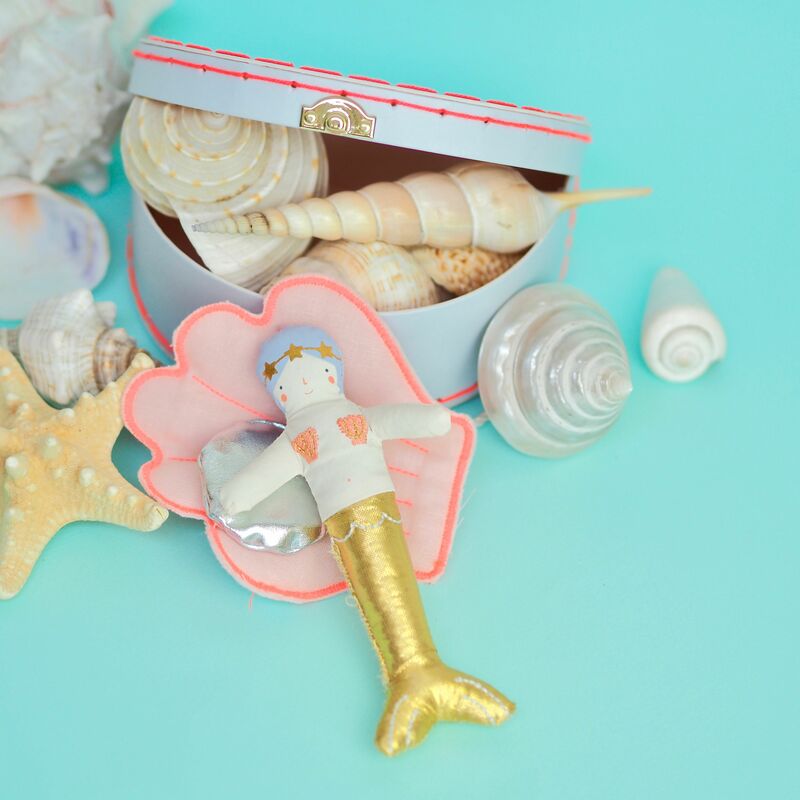 Some of our all-time favourite party decorations are by one of our fabulous suppliers, Meri-Meri. We adore their soft, pastel ice-cream honeycomb garlands and decorations. They look good enough to eat! We stuck to a soft colour palette for our party, we added lots of pastel coloured balloons. Balloons are a cheap and brilliant way to add colour and fun to any party or event. They also fill the room or garden and we always think the more the better! We have fabulous ice-cream paper decorations that we hung from trees and we also dotted a few of our ice-cream marquee lights by Sunnylife. They are battery opperated and looked so pretty when the sun started to set. 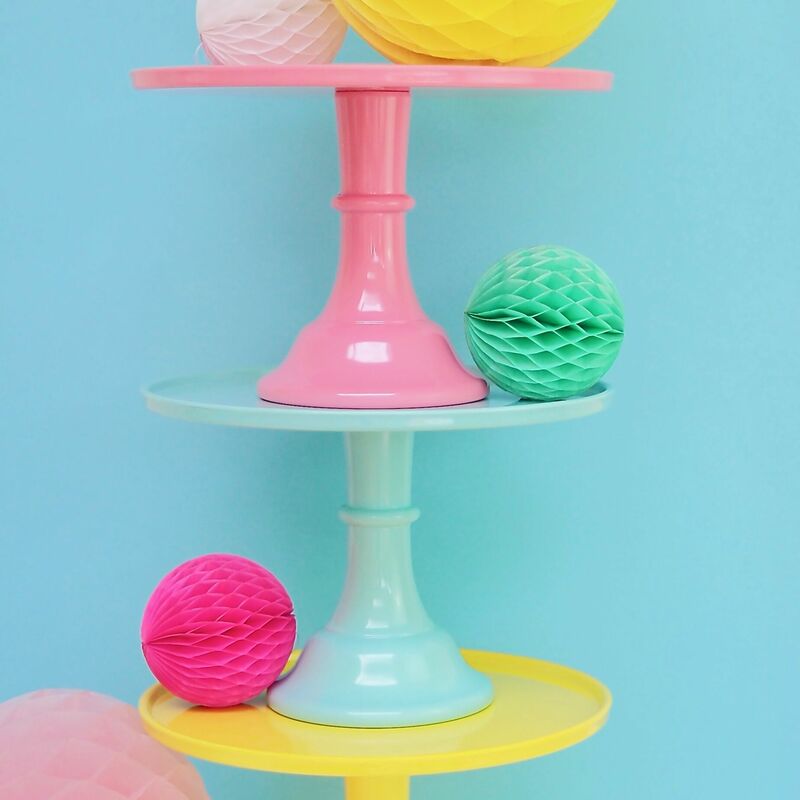 Mixing different sizes of paper honeycomb decorations is also another lovely way of adding colour to your party room. Sometimes party decorations can get lost in a large venue or in the garden, so try our top tip of adding balloons and paper honeycomb balls. Mix the sizes and group them together. You will be amazed how great they look. You can find so many fabulous ice-cream recipes and idea’s on-line. Take a peek on Pintrest or Instagram for starters, or if you are short of time just dash down to your nearest supermarket and stock up on lots of yummy flavours, fruits, sauces, sweets and sprinkles. Get creative and don’t worry about the mess! 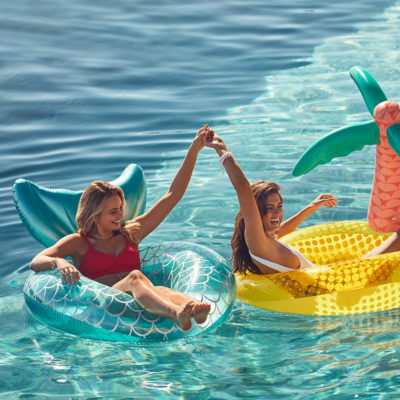 Just have fun and cool off. We love to serve our ice-creams in our fabulous melamine cups by RICE.DK. You can add fruit at the bottom and top it off with ice-cream and your favourite sauce. Give your guests one of our long melamine spoons also by RICE.DK so they get right to the bottom of the cup and enjoy every last mouthful. If you are a traditional cone kind-a ice-cream lover, then how about these gorgeous ideas…dip your cone in melted chocolate, melt dark and white chocolate and you could also add some food colouring into the white melted chocolate, we love to make some pink chocolate, then dip the chocolate covered cone into a bowl of sprinkles or coconut or a contrasting coloured bowl of chocolate shavings. This is another brilliant tip (even if I do say so myself!) take an empty cereal box and cut some little holes in it big enough to rest your cone and let the chocolate and sprinkles set. Or top your cone off with a gorgeous decoration such as a cocktail umbrella, a sprinkler or a cut down flamingo pompom straw. 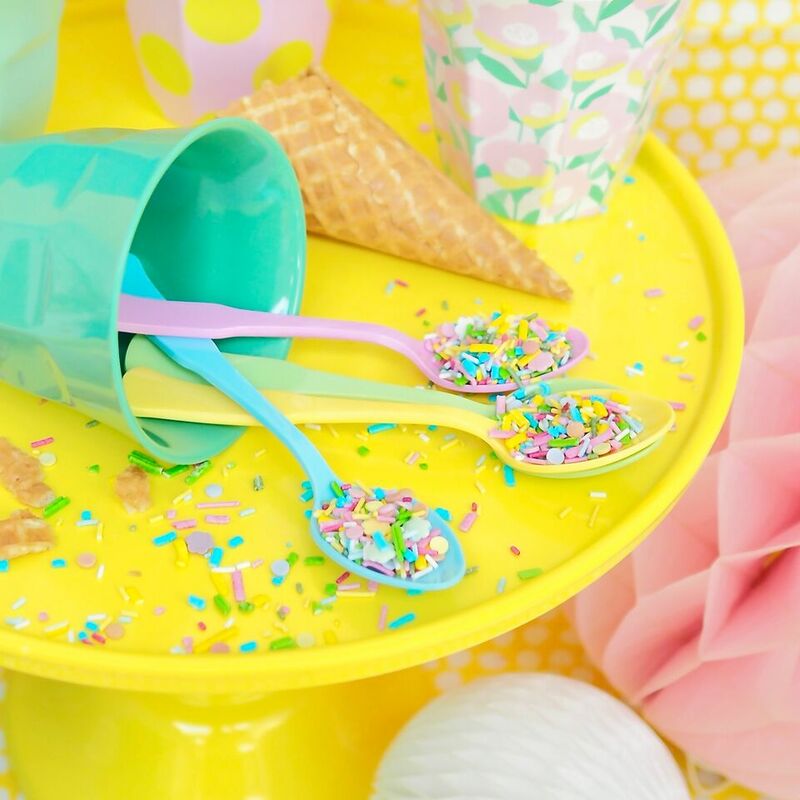 We hope we have inspired you to host your own little ice-cream party and we would love to see your photos and hear all about your ice-cream creations! This entry was posted in chit-chat. Bookmark the permalink.